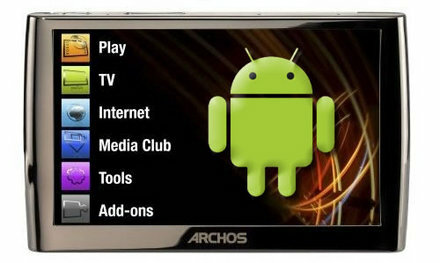 Anybody who reads Shiny will know how highly I rate Archos products, so the news that they may have a mobile lurking on the horizon is very exciting. And it’s not just a PMP enabled mobile device, no it’s going to utilise Google Android capabilities, potentially making the G1 seem redundant and outdated. You can expect it to feature the sleek curves we’ve learned to love on the latest Archos devices, so think gloss finish and rounded corners. Couple that with a UI that’s probably the best on the market and you have a winner on your hands. There’s no real word on specs yet, but we’re hoping they manage to get a camera in somewhere, and the release date is tentatively Q3 this year.